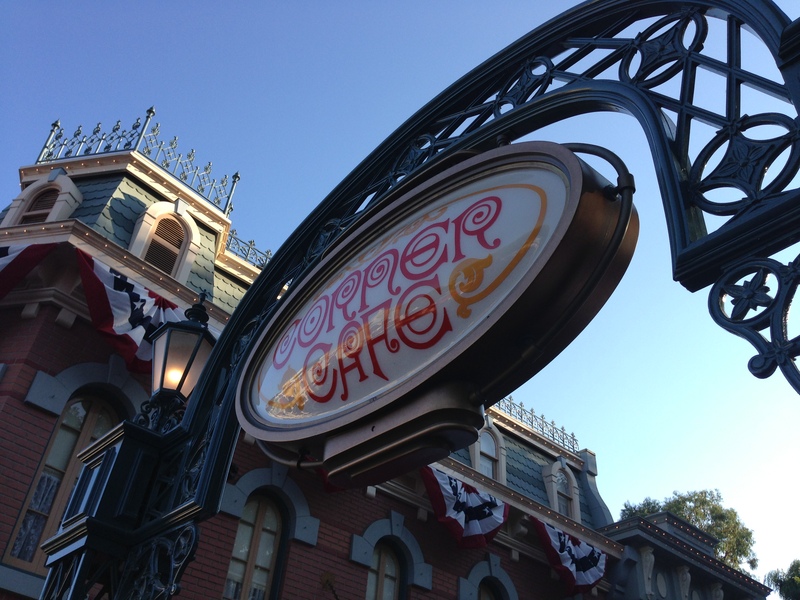 Disney Foodie Spotlight: Corner Cafe at Disneyland – Hot Dog Heaven! 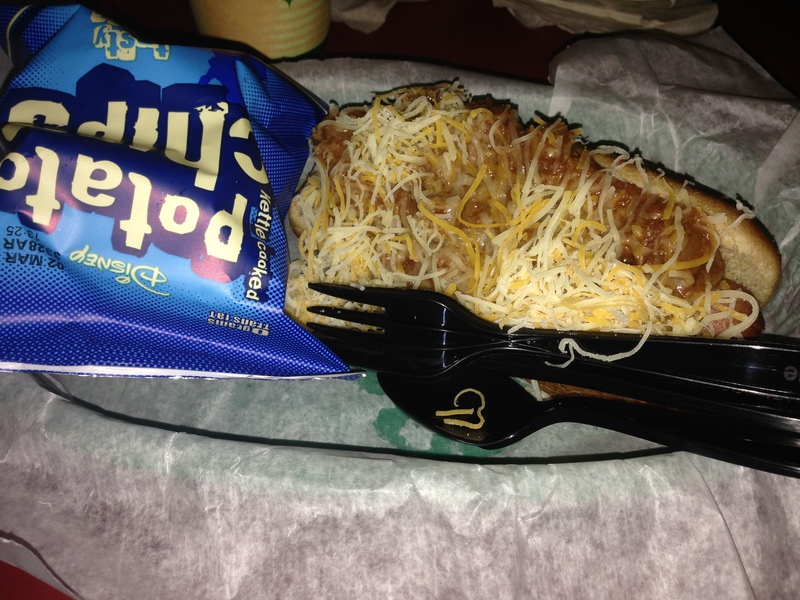 Chili dog basket – yummy! 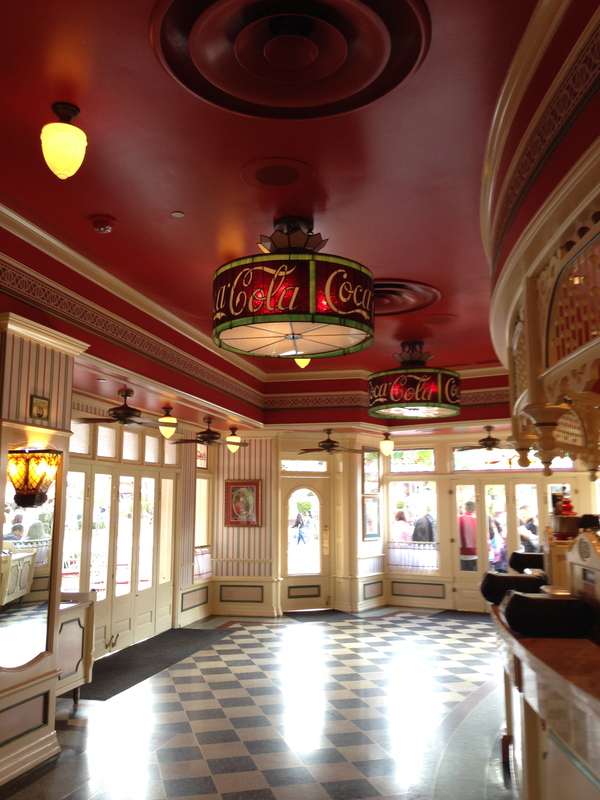 The Corner Cafe on Main Street is a wonderful spot for a quick bite and a moment to sit down amidst the hustle and bustle of a busy day in Disneyland. The menu isn’t extensive (basically just hot dogs and pretzels), but what they have is delicious, priced perfectly, and almost always you can find a seat to relax your tired feet. When you need a good break, don’t want to wait in long lines, and just relax for a few minutes, the Corner Cafe is the place to be. At times there is a piano player there to tickle the ivory, but to tickle your ear as well. The musicians are friendly and personable and are very talented. It’s a great spot to kick up your feet. If you like hot dogs, this is a great place to be. You might find a more extensive selection over in Disney California Adventure at Award Wieners, but for a good, simple hot dog you can’t beat Corner Cafe. They basically have three dogs – the original, the chili dog, and the mac and cheese dog (with bacon bits). All are good, but my favorite is the chili dog. The chili is thick enough to be hearty, but not so thick that it takes away from the hot dog. And then they go and smother it with finely grated cheese. Yum. You have a choice with all of the dogs either of potato chips or apple slices. I haven’t yet had the chili in a bread bowl, but if it’s the same chili as they use on the hot dogs (or better yet, the same they use at Carnation Cafe) then it’s definitely worth getting! Because the menu is simple, the service is quick and lines are almost always short. 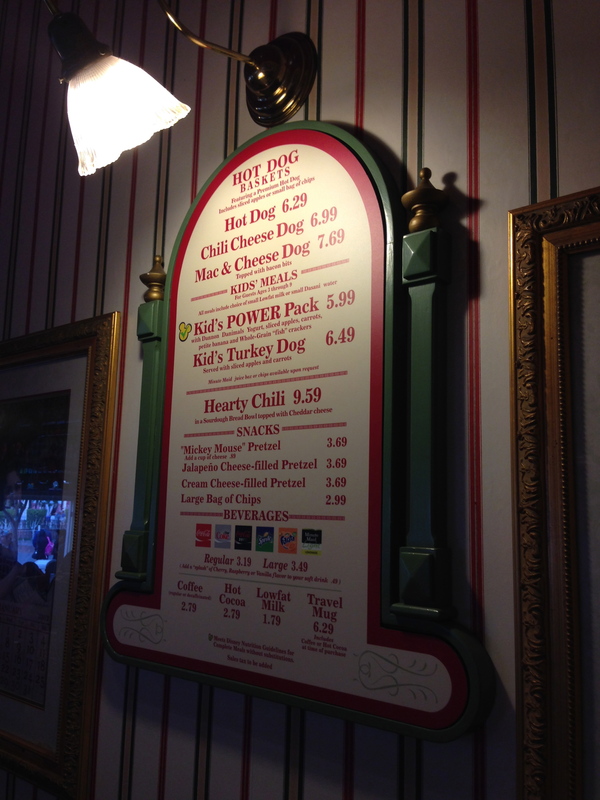 It isn’t hard to find a table and because it bumps up to Jolly Holiday Bakery, there is ample seating in both places. Next time you’re craving a plain, old-fashioned hot dog at the park, try this place! You’ll be glad you did. In the mood for a corn dog instead? Try the Little Red Wagon right across the street or if you’re in Disney California Adventure stop off at Corn Dog Castle!